Nothing is more integral and vital to the future of hunting and the continuation of our hunting heritage than family. If you’ve ever shared a hunting camp and sat around a crackling fire on a cool fall evening with family then you know what I mean. Hunting started, no doubt, as a means of survival with family or related tribes or clansmen. The knowledge, skills and necessity of hunting was naturally passed on to those who were daily contacts, individuals who learned to work together to survive and, ultimately, prosper. Hunting for survival in the modern, civilized world, of course, has largely disappeared but the genetic disposition and the heritage of hunting has not. The process of natural or routine recruitment of a hunter from one generation to the next has been challenged as society moved away from land-based life styles. For those who know and embrace the hunter’s connection with the land and wildlife—who know the value of being a part of nature’s living food chain and contemporary conservation programs—developing new ways to introduce younger generations and other newcomers to hunting is critical. Today, a time when kids and families are further challenged at every turn with events, programs, schedules and hunting regulations that make it hard to actually go hunting, the hunting community is developing new outreach programs to help. One very successful recruitment program is the Families Afield program. Families Afield was launched in 2004 to “…increase the numbers of hunters to ensure a promising future for the tradition of hunting and conservation.” It is a model of cooperative effort and was founded by the National Shooting Sports Foundation, National Wild Turkey Federation and the U.S. Sportsmen’s Alliance (USSA). The National Rifle Association and Congressional Sportsmen’s Foundation are also coalition partners in the Families Afield program. To achieve its mission, Families Afield puts its focus on “…removing barriers such as age restrictions that were preventing sportsmen and women from passing hunting on to the next generation.” In step with the NRA’s efforts to build the next generation of hunters through youth-focused programs such as the Youth Hunter Education Challenge (YHEC) introduced in 1985, Families Afield also encourages states to create an apprentice hunting license—a license enabling new hunters young and old to experience hunting with a “try before you buy” concept. Such licenses permit novice hunters to go afield with an experienced, licensed mentor before completing a hunter education course. Currently, 39 states have adopted the Families Afield program and have cumulatively sold over 1.6 million apprentice hunting licenses. 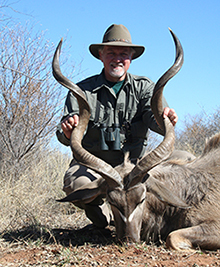 The 1.6 million licenses sold is a clear indication that interest in hunting remains high. It also demonstrates that a proper introduction to hunting enabled by state regulations is needed to help spark a passion for hunting and to create new hunters. As with the shooting sports, experience has shown that many family members, friends, associates and neighbors are interested in hunting and would gladly accept an invitation to go—if you just ask. Significantly, program managers point out that 1 million new hunters have a “ripple effect” on overall participation in hunting. Just one new hunter in a family often means other family members and friends become more active hunters or are reactivated. Program data shows most apprentices are youth hunters but that adults are increasingly taking advantage of apprentice licenses to determine if they enjoy the activity enough to complete the hunter education course required to purchase a hunting license. It’s worth noting the “locavore” movement and interests in obtaining a more natural, healthy diet is leading new hunters to become part of the hunting heritage. Get the word out that both experienced hunters and those who want to try hunting should research their state’s hunting regulations for information about apprentice hunting licenses. For more information about Families Afield, click here.